What are the Benefits of Single Cup Coffee Makers? Single cup coffee makers are preferred by many people today. Find out what makes it a popular choice among a lot of consumers. Single cup coffee makers have grown in popularity these past years. Many consumers prefer to use it because of its benefits such as convenience and ease of use. Individual coffee makers brew a single cup at a time, as its name suggests. Most of the products use coffee pods or capsules which are simply inserted into the machine. It only takes a few minutes to brew a cup of coffee. What’s great about the pods is that it allows you to choose from different blends of coffee and you also have the option of brewing tea and hot chocolate. There are particular brands of coffee makers that accept other brands of pods. However, make sure of this before you purchase it. Besides that, it is also important to check the availability of k cups in stores in your area. This should not be a problem though as you can buy it from online stores. There are consumers who are hesitant to use coffee pods as they think it will prove to be more expensive. Using pods cost only slightly more than coffee grounds. It is also still much cheaper than having to buy your cup of coffee from a store. If you are interested in buying one but are yet to be convinced, here are the benefits of single cup coffee makers. One of the advantages of single cup coffee makers is its ability to brew one cup at a time. Unlike drip style coffee makers, you can be sure that no amount of coffee will go to waste. It also allows you to enjoy a cup of hot, freshly brewed coffee anytime of the day without having to do any measuring and brewing multiple cups of coffee which can take a lot of minutes. Using an individual coffee maker is easy. You simply have to insert the coffee pod into the machine, push the button and wait for a few minutes. Because of its ease of use, you will not have to worry about any mess. Brewing coffee grounds on single cup coffee makers is just as easy. Put your preferred coffee grounds in the filter, press the button and it will start brewing. Because the filter it uses is refillable, you simply have to rinse and dry it to brew another cup of coffee. The coffee’s freshness is very important. If your cup of joe is not fresh, you will not enjoy drinking it. This is also one of the reasons why offices prefer to use a single cup coffee maker. It ensures that employees and clients always have a fresh cup in only a few minutes. There are a lot of people who prefer to use individual coffee makers because they can choose from a variety of coffee and tea blends. You can drink a particular blend depending on your mood or preference. If you are a latte or cappuccino lover, you may want to consider getting a coffee maker that has a built-in milk frother. This is more cost-efficient than having to spend your money on a separate frother. 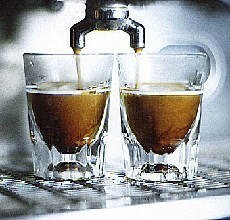 If you are more of an espresso person, it would be ideal to get an espresso machine. There are brands of coffee grounds though which are not available in pod form. If so, you can instead use a refillable coffee filter. This feature makes one cup coffee makers ideal for parties at home. There is no need to worry if there are a lot of people who want to drink coffee. Because it brews coffee fast, you can make one cup after another. What is also great about one cup coffee makers is that you can be creative when it comes to its flavors. You may want to combine different coffee grounds to create a unique blend of coffee. Saving money is important for every consumer particularly during these unstable economic times. You will be surprised at the amount of money you save by brewing your own cup of coffee instead of buying one from a café. Aside from that, most customers are also tempted to buy food while they are in the shop and this translates to more cost. Single cup coffee brewers are much easier to clean than drip style models. This is because drip style brewers use a filter basked and ground coffee which can be messy when spilled. It can also be time-consuming to clean it after every use as the filter basket needs to be emptied to keep the coffee from getting bitter. Its coffee pot can also get stained over time if it is not cleaned regularly. One cup coffee makers on the other hands have little cleanup issues. Because it uses coffee pods, you simply have to remove it after every use. It also brews directly into a cup or travel mug making it ideal for people who are on the go. When using an individual coffee maker, there is no coffee grounds and messy filters to deal with. There are a lot of brands and models of single cup coffee makers to choose from and this has advantages and disadvantages. It is a good thing because people will have more options. Its downside is that many consumers might find it confusing to know what the best one is for their home. If you are not sure which one to get, you can refer to reviews and compare its features. Try to determine which features you will find most useful. Its price is also a factor that you should consider. If the coffee brewer that you purchase is from a popular brand name or has advanced features, you will have to spend a lot of money on it. However, expensive models are not always better than cheaper ones. If you are after the basic features such as fast brewing and the use of coffee pods, it would be okay for you to buy a lower priced individual coffee brewer. When it comes to its size, consider the space that you have on your kitchen counter top. If it is limited, it would be best to get a compact sized model. As a rule, a brewer is bigger in size if it has more features.